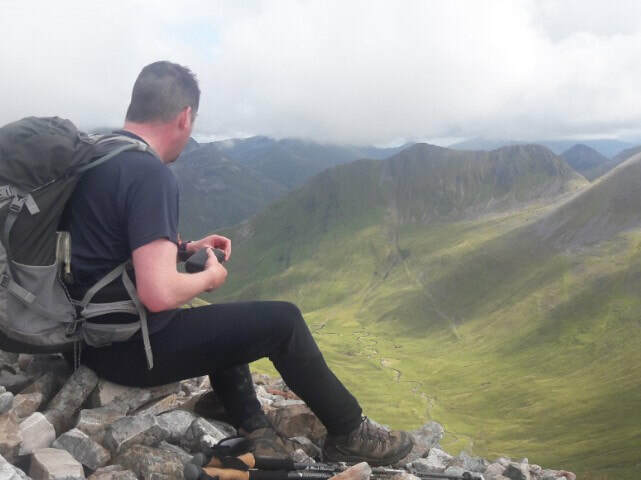 The Ring of Steall is a classic day out in the Scottish mountains which combines breathtaking ridge walking and scrambling with the traverse of the four Munros of Sgurr a'Mhaim, Am Bodach, Stob Coire a' Chairn and An Gearanach. 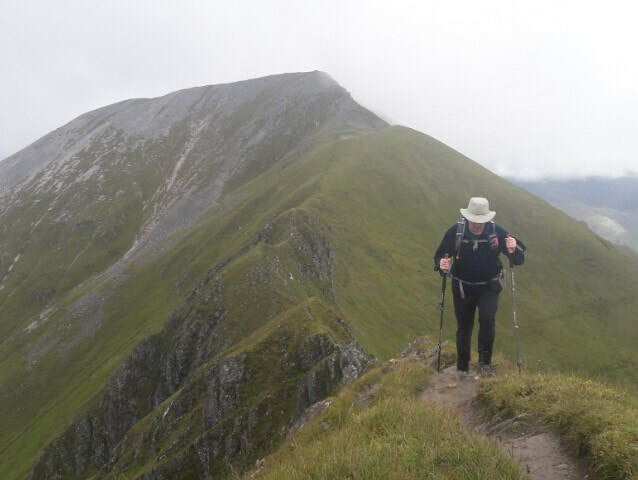 On our guided walk around the Ring of Steall we will start with the steep ascent of Sgurr a'Mhaim but this gets a big chunk of the ascent out of the way right at the start of the day. From there we follow narrow, undulating ridgeline to peak after peak. After our final summit of An Gearanach all that is left is the long descent back into the glen, and to be rewarded with views of Scotland's second highest waterfall: Steall Falls. This is a big and challenging day out but your guide will set a good pace and take care of the navigation, meaning you can relax, enjoy the walking, and take in the beautiful views from every direction. Steall Falls is available with a private guide on any day of the week so get in touch to check our availability and make a booking. ​The weather on Ben Nevis can change in a matter of minutes. Rain is common and it can regularly feel as cold as -10 degrees Celsius on the summit, even in the summer. Make sure you are ready for your day by packing the items on the list below.